The new Workbook folio case for iPad by Mophie provides an infinite number of angles for typing or screen viewing. 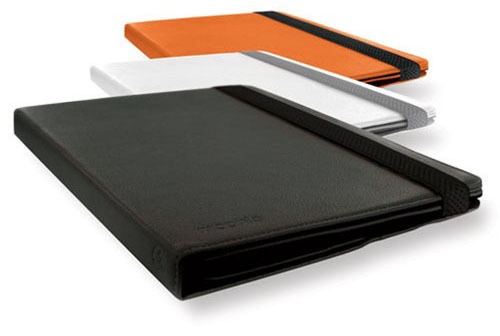 This stylish folio for iPad is a light-weight, form-fitting iPad case. The faux leather case comes in five colors. All ports and controls are fully accessible so you can simultaneously charge and sync your iPad without having to remove it from the case. Mophie Bevy Four Things In One iPod Shuffle 2G! The Bevy from Mophie is a neat little gadget for your iPod Shuffle 2G. 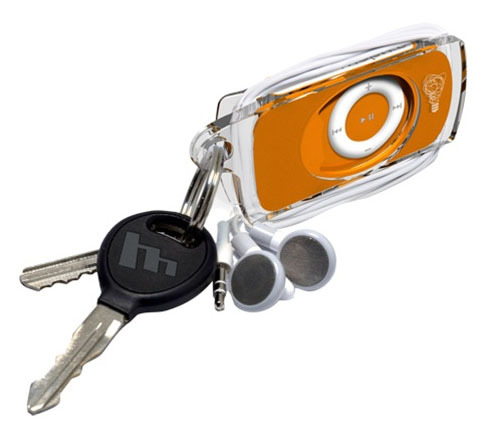 This four things in one gadget is a protective case, earbud wrap, key chain and bottle opener all in one! The Bevy for the iPod Shuffle comes in black, blue, green, orange, pink and silver. It’s now on sale for only $5.95.